It really is true; we learn new things every day. Last year I attended the World Travel Market, at the Excel London. While there, I sat in on a presentation on The Wellness and Wellbeing hour – Global. It was there that I first heard about the country of Bhutan. Bhutan the county that measures success based on ‘gross national happiness’ (GNH) rather than production. I visited their stand to enquire, how did the ethos translate to tourists? I was told that on arrival tourists were informed about the values of the country and encouraged to respect it. Little did I know, months later, I’d be reviewing a book from the said country for Multicultural Children’s Book Day. Room In Your Heart was written by Kunzang Choden. 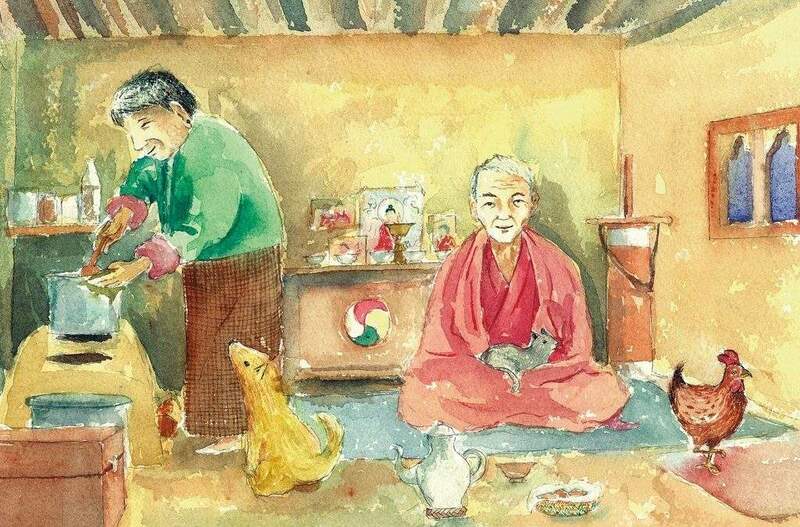 She was the first Bhutanese woman to write a book in English1. Room In Your Heart is an enchanting tale about sharing and gratitude. Room in Your Heart is set in Bhutan; the Buddhist country located between China and India, bordering with Tibet across the Himalayas2. In such a landscape, what would you do if you lived alone and a stranger came knocking seeking at night? Fortunately it was a monk. The old lady invited him in. Then, there’s another knock at the door, which interrupts her from briefly from preparing her simple dinner. What would you do? We often say ‘sharing is caring’. I say it to my children all the time. Room in Your Heart gives a visual to what that statement really means. Aimed at 4+ years, it’s an endearing tale to inspire kindness and simple acts of service in the young. This story warmed my heart so to speak. I was pleased to have had the opportunity to enjoy with my children. Valentina’s best bit: She enjoyed all of it. My best bit: The monk’s statement at the end of the book, as well as the illustrations. 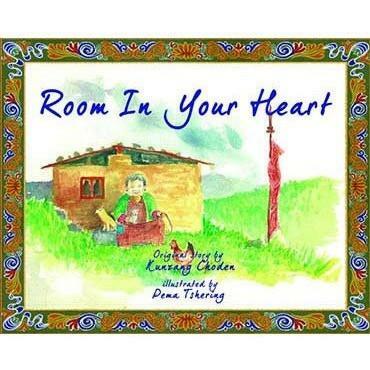 Room In Your Heart was reviewed to commemorate Multicultural Children’s Book Day. The book can be purchased online from Kitaab World.